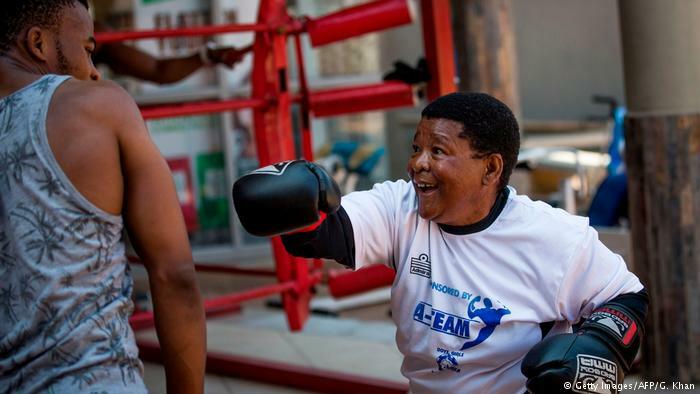 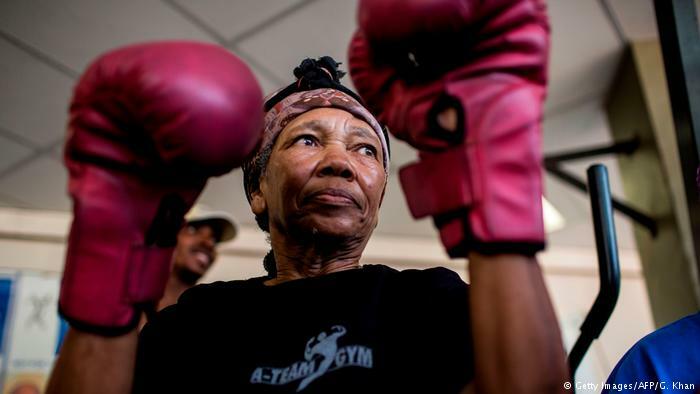 Diabetes and high blood pressure cannot hinder these ladies from going to their boxclub “Boxing Gogo”. 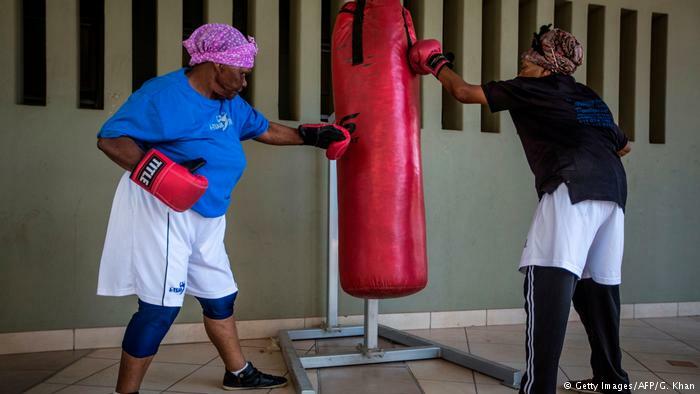 They trained twice a week to stay fit. 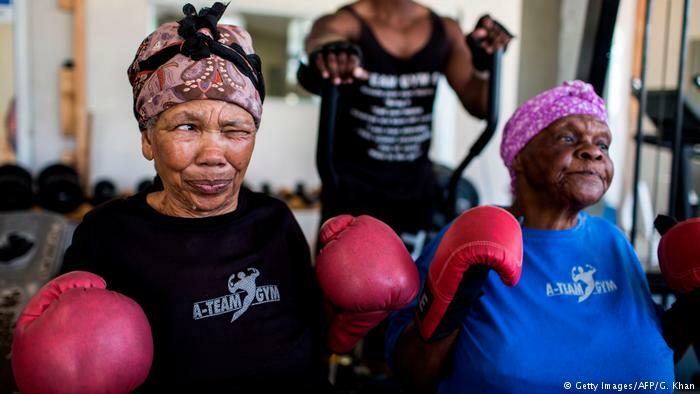 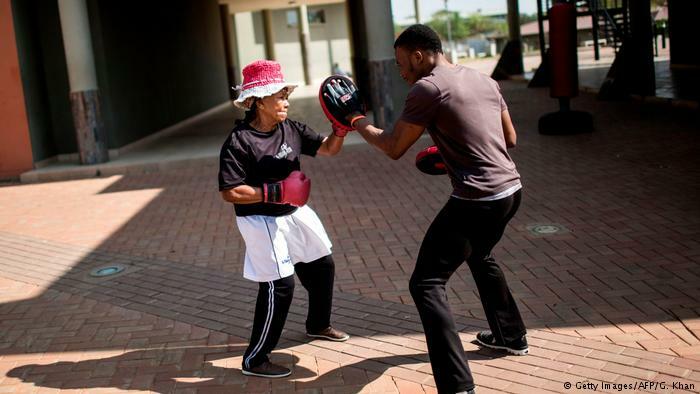 The grandmothers, many of whom are over 70 have been training with coach Claude Maphosa and claim that they no longer suffer from the ailments they had before, and are stronger than ever. 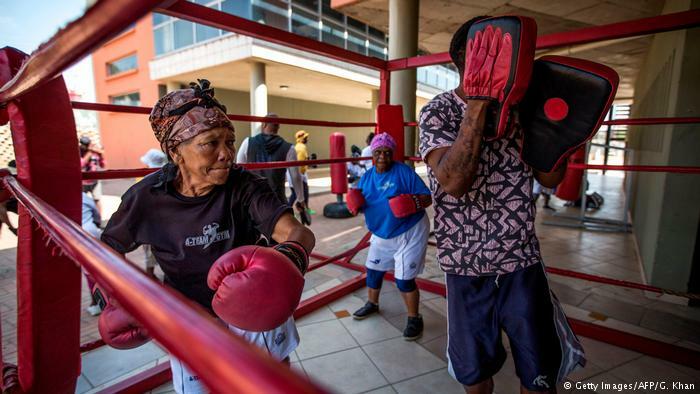 Südafrika Boxende Omas – 77 year-old Gladys Ngwenya (L) winces as she chews on a piece of ginger before a “Boxing Gogos” (Grannies) session hosted by the A Team Gym in Cosmo City in Johannesburg on September 19, 2017. 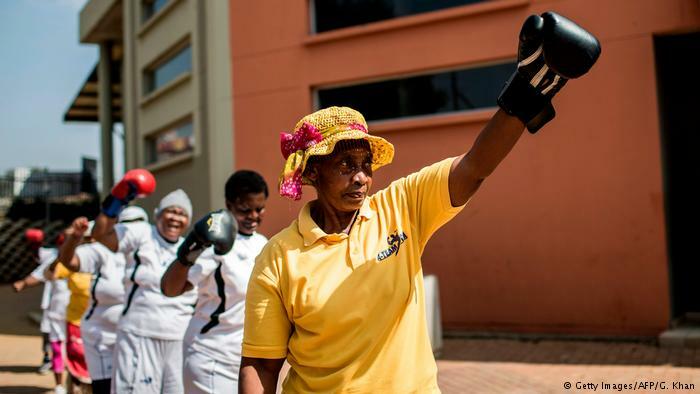 South Africa is a country riddled with crime and corruption, negative press reports and many of the issues that tend to plague developing countries. 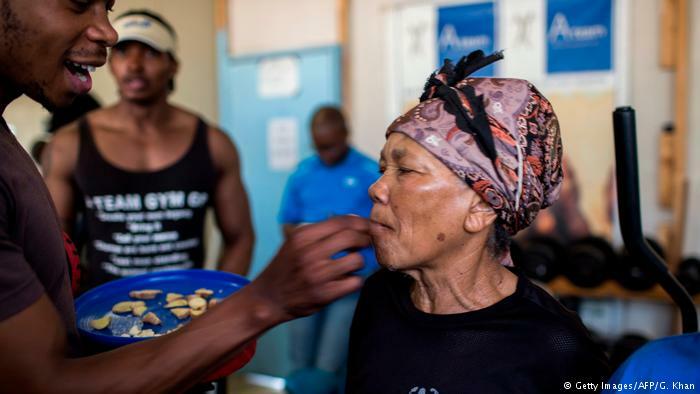 But there is also another side to the coin, one that sheds light on the hope and courage of its people who get up each morning and attempt to make a difference on the lives of people who surround them. 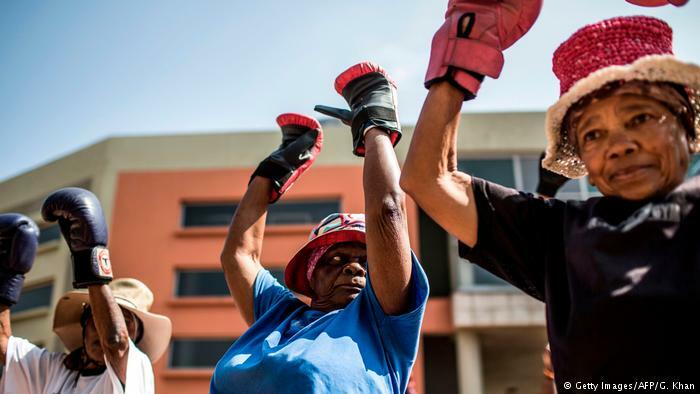 Former bodybuilder and fitness instructor Claude Maphosa pulls no punches when it comes to uplifting his community.